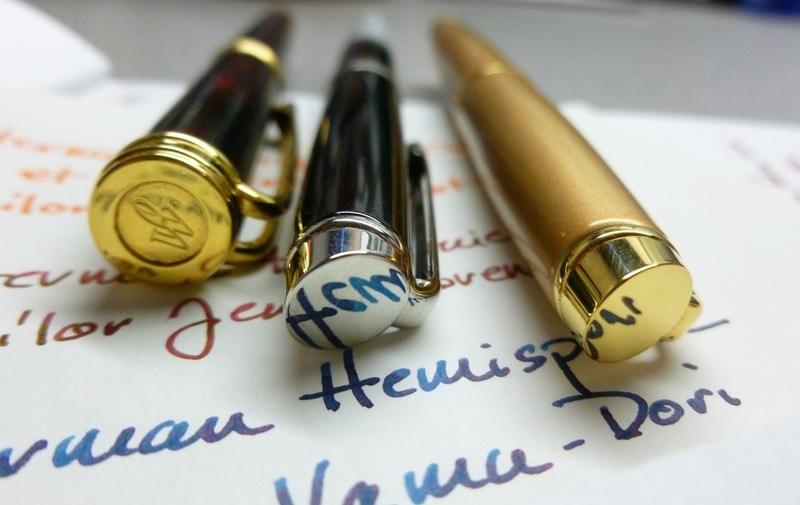 Once upon a time, there were three Waterman pens— two Hemispheres and one Harmonie— the Watermen. Despite having good looks, they felt empty and lackluster. Until they met a trio of Sailor inks. That’s when things got interesting. And hot. They couldn’t stay away from each other. 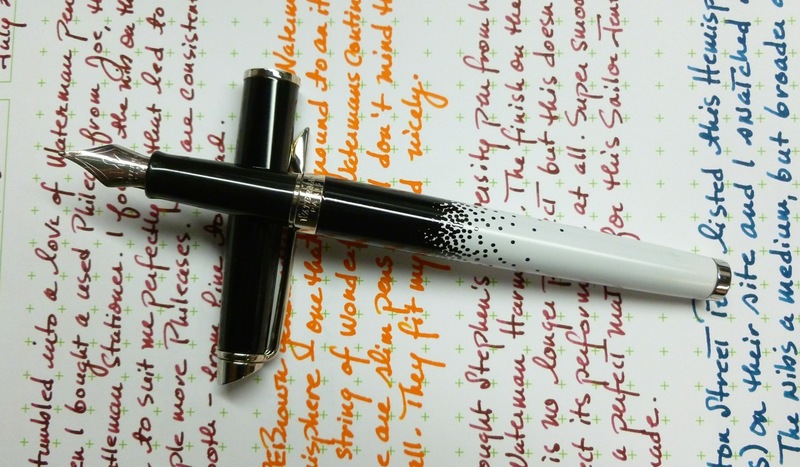 The uniquely lacquered body of the Waterman Harmonie made a perfect match for the magnificent color and sheen of Sailor’s Jentle Grenade. What a couple. 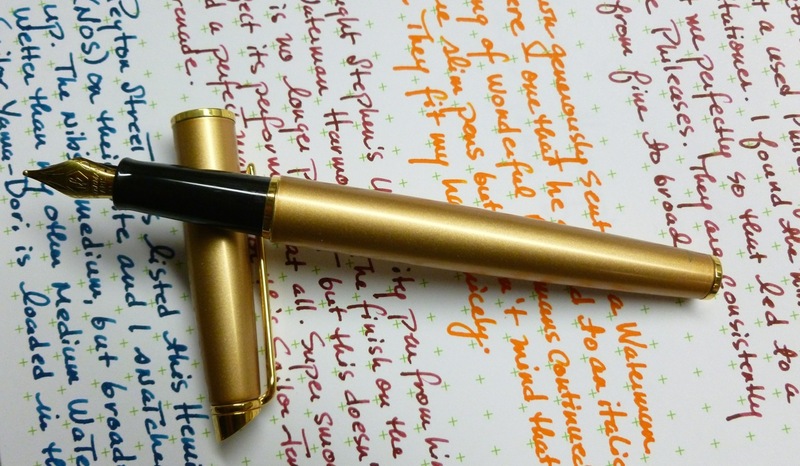 The Waterman Hemisphere, in Stardust Gold, and Sailor’s Yama Dori made a striking pair. The Hemisphere’s medium nib laid down a generously wet line of that deep, rich blue-green-sheeny ink. 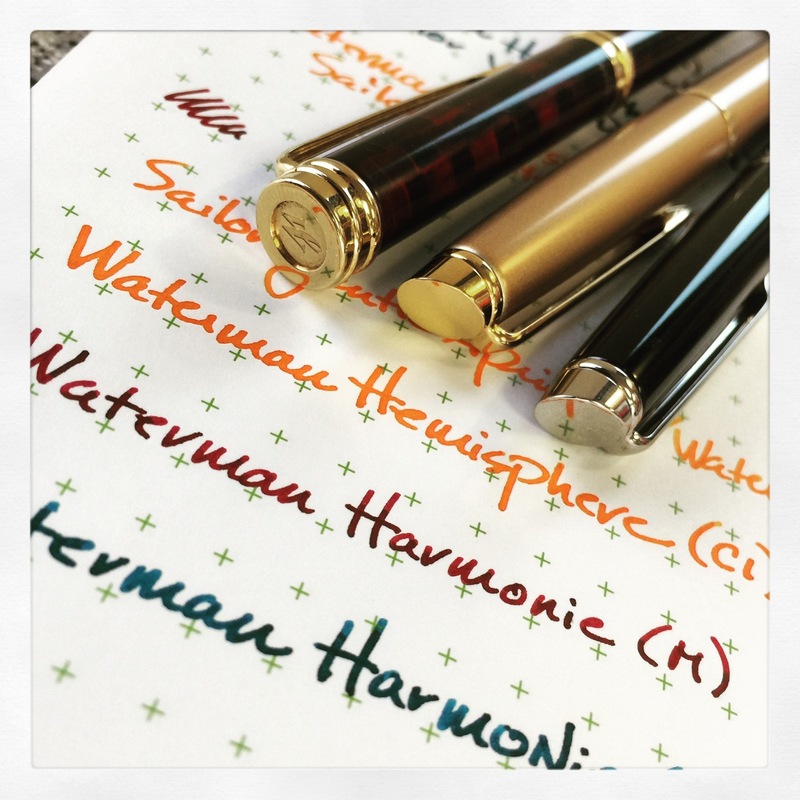 And the Waterman Hemisphere Ombres et Lumiéres, with its distinctively patterned body, was totally smitten with the drop dead gorgeous Jentle Apricot. The well-matched couples traveled snuggly in their pen cases, venturing out to cafés and to work and to relaxing times on the patio. They never bickered, never wished for other partners. They were cozy and content, spending hours together writing letters and filling journal pages. The Watermen were very, very happy with their Sailors. ARE very happy with their Sailors. If only their love could last forever. But soon, there will be no more Jentle Apricot, no more Jentle Grenade. All they’ll be able to do is remember the good times, and try to go on. Which they will, but it won’t be the same. At least for now, they have each other. Having a little fun with these favorite pen and ink pairings tonight. 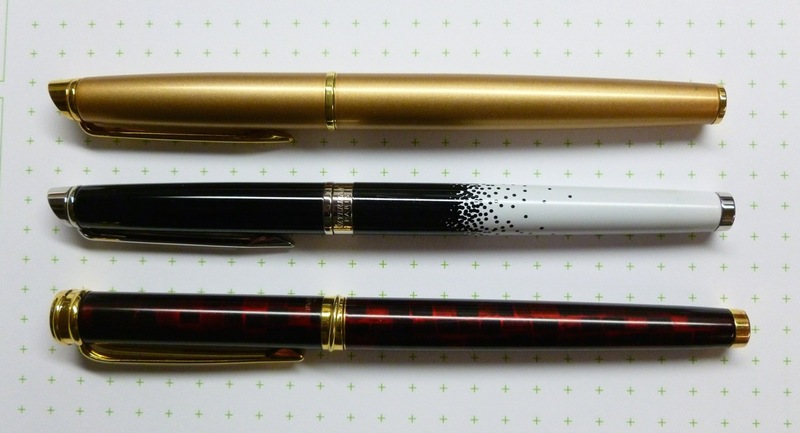 I’ll do individual reviews of these wonderful Waterman pens in the future. They’re all excellent writers, super smooth, really superb. 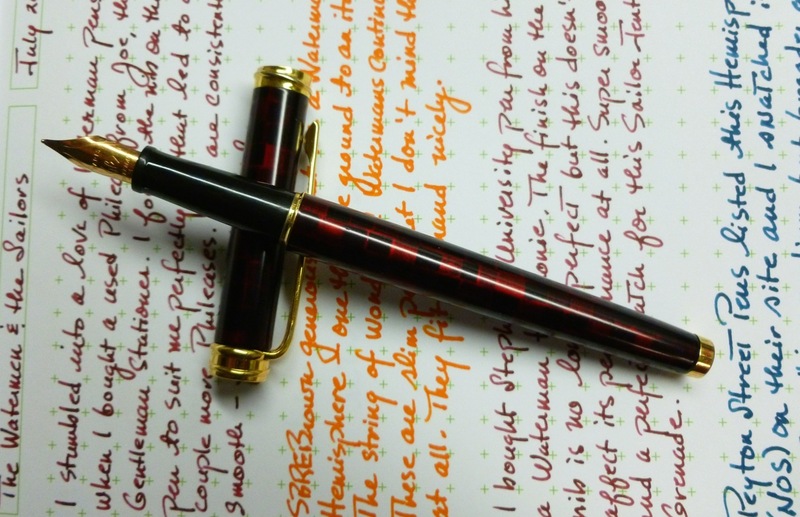 And these Sailor inks are AMAZING. I mourn the day that my stash of Jentle Apricot and Jentle Grenade is depleted. But for now, I’m appreciating every single precious drop. Which sounds like a life lesson, doesn’t it? !